The navbar is one of the prominent features of every Bootstrap-based website. The core code includes styling for a site logo and basic navigation links. Create a <nav> tag with a class of .navbar along with a .navbar-dark bg-inverse class (this will be the color scheme of the navbar). Inside the <nav> tag put an anchor tag with a class .navbar-brand. This will be the logo of the navbar. Add an unordered lists with a class .nav along with a .navbar-nav class. For each list item add a class .nav-item and a class .nav-link for each link inside. You can check the sample code and results below. Putting these codes together will give you exactly the same result as the image. Note: You can use the class .active to specify a link as the current page and add a <span> with .sr-only class for screen readers. If you want to add a different background color to your navbar you can use the combination of a simple link color modifier class and background-color utilities (such .bg-primary, .bg-warning). Using the following classes and styles with our previous code, you’ll get the following result. If you want to align the elements of your navbar you can use the .pull-left or .pull-right class to achieve this. The code above will display the image below. 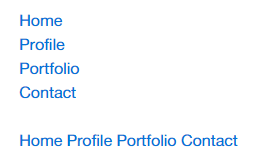 Dropdowns menus are another important component of any navigation bar. You can add a dropdown to one of the li elements of the navbar-nav list by adding the .dropdown class. You also need to add the data attribute data-toggle=”dropdown” along with the aria-haspopup=”true” to indicate whether this element may display a pop-up window as well as the aria-expanded=”false” to indicate the state of a collapsible element. For each item of the dropdown link you must add the class .dropdown-item to add styles on it. See the example code below. Check out the image output below. You can also position your navbar in fix position either to the top or bottom of the screen upon mouse scroll by using the .navbar-fixed-top or .navbar-fixed-bottom. Check out the structure code below. Bootstrap 4 provides a variety of options for styling navigation elements. All of them share the same markup and base .nav class either within the <ul> or <nav> tag. You also need to add the class .nav-item for each list items and the .nav-link class for each anchor tags. Bootstrap also provides a helper class, .active to specify the active page. Let’s try this on both <ul> and <nav> tag. Putting this code together will display the image below. To create a tabbed navigation menu, you need to start with a basic unordered list with the class of .nav along with the .nav-tabs class. You also need to add the class .nav-item for each list items and the .nav-link class for each links. In addition, you can then add the class .active to specify the active page. To create a pill navigation use .nav-pills instead of .nav-tabs. To stack pills vertically you just need to add .nav-stacked to the class .nav-pills. With the code above you’ll get the image result below. Navigation menus can also have a similar syntax with dropdown menus. Just add .dropdown class to an <li> element followed by its classes and data-attributes. See the code below. See the image result below. One of the Bootstrap 4’s great feature is the ability to create forms with ease. Bootstrap makes it easy by just using simple HTML markup and extended classes for different styles of forms. To use Bootstrap forms, simply add the class .form-control class to any of the form components such as <input>, <textarea>, and <select> tag. You also need to wrap each form component to a <fieldset> tag along with class .form-group. You can also add a color for each fieldset. There are three classes that you can use. These classes can be use inside a <fieldset>, <div>, any tag element. In addition you can also add icons by using .form-control-* class. Check the list here. Bootstrap comes with predefined horizontal form formats. This one stands apart from the others not only on its markup, but also in the display of the form. To use Bootstrap horizontal form, use .form-horizontal class inside the <form> tag. You also need to add .form-control-label class to the <label> tag for it to appear vertically center. Note: Don’t forget to specify how many columns each form component should span via .col-*-*. To create a form where all of the elements are inline and labels are left-aligned, simply add a class .form-inline to the <form> tag and use the .form-group class within a <div> or <fieldset> tag to organize each field set. See the code example below. Social media websites such as Facebook and Twitter use the media object. The goal of the media object is to make the code for developing these blocks of information shorter. Bootstrap Media Object align text and media objects next to each other. This gives the user the option to quickly float the object either to the right or to the left. You can create a Media Object in three steps. Create a <div> with a class .media. Insert .media-object class to any element you want to float such as <img> and <video> For the alignment of the media element you can add one of the following class to the parent element to control the position of media objects (.media-middle, .media-bottom, .media-left, .media-right). By default the media-objects are set to top-aligned position. Create another <div> inside the class .media and then insert .media-body class In addition, you need to add the .media-heading to any heading tag inside the .media-body <div>. With codes above, you’ll get exactly the same result like the image below. You can also nest media objects by simply adding another media object structure inside the <div> with a .media-body class. See the code below. Putting it all together, you’ll get a result like the image below. The progress bar displays the assets that are loading, in progress, or that there is an action taking place within the page. The Bootstrap default progress bar has a light gray background and a blue progress bar. To create a progress bar, use the html5 <progress> tag with a class of .progress. Inside, insert a value attribute from 0 to 100 to indicate where progress bar was at. See the code below. Bootstrap 4 Progress bars can use a variety of color classes which are the identical with button and alert classes for consistent styles using the .progress-* class. See the examples below. To create a striped progress bar just add an extra .progress-striped class to the <progress> tag. You can also create an animation using the .progress-animated to the same tag. See code example below. The code above will output the image below. Bootstrap 4 carousel is a flexible and a responsive way to add a slider to your website. Aside from being responsive, it allows you to add images, videos or just about any type of content. Create a wrapper <div> and add the .carousel and .slide with its own ID. You also need to data-ride=”carousel” attribute to start the carouse’s animation immediately when the page loads. Create an ordered list for our indicator controls (the little circles at the bottom center) and add the carousel-indicators class on the <ol> Then we also need to add the data-target=”#id” along with the data-slide-to=”#” to specify which slide to go to when clicking a specific dot. Don’t forget to add class .active on the first element; this will be the starting item of the carousel. Now create another <div> container for the scrollable contents (this where you will put your contents), add the .carousel-inner inside it and give each item a .carousel-item You can also add a new <div> element inside right after adding the images and give it a class .carousel-caption. For Previous and Next buttons, we will use an anchor class with the class .left and carousel-control for the “Previous” button, and class .right and .carousel-control for the “Next” button. The following methods are useful carousel code. Tooltips are use to describe a link or provide a certain information about a word or of an abbreviation. The plugin was originally based on the jQuery.tipsy plugin written by Jason Frame. However, in Bootstrap 4, it moves to Tether, a third party plugin. If you want to use this you can simply include tether.min.js just before the bootstrap.js. To add a tooltip, add data-toggle=”tooltip” and title=”Some tooltip text!” to an anchor tag or button. The title of the anchor will be the text of a tooltip. The following examples show how to do this in the Bootstrap and tether.js. A modal is a pop-out window that is layered over its parent. The purpose is to display content from a separate source that can have some interaction or action without leaving the parent window. Click here to see demo! 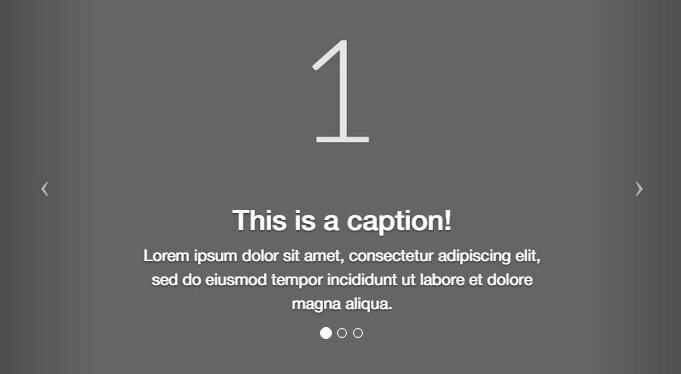 There are two data attributes that can trigger the modal via link or buttons. Inside the modal part, we have a <div> which has an ID that is the same as the value of the data-target attribute used to trigger the modal, in this case its .myModal class. Having all the code here, you’ll get a result like the image below. Please take note that you can also control the size of the modal by adding either .modal-sm class for small modals or .modal-lg class for large modals inside the <div> that has the .modal-dialog class. You can always refer to the documentation here if you want more options for modals. Like other CSS frameworks, the power of Bootstrap comes not just from the creators but also from other external plugins that support it. Please take note that at the time of this writing, Bootstrap 4 CSS is in alpha release; therefore, it is highly recommended to not use it in production yet. I hope you learned from this tutorial and let me know your thoughts in the comment section. Thanks for posting this. Another great tutorial for Bootstrap 4. I found it amazing how Mark changes the design for the navbar as well as the markup. Are we also expecting a tutorial about Sass and Flexbox on upcoming tutorials? The Bootstrap 4 Flexbox tutorial coming soon.